Doesn't have the same ring to it as Mer-Der, but we love this couple more than anything no matter what you want to call it. 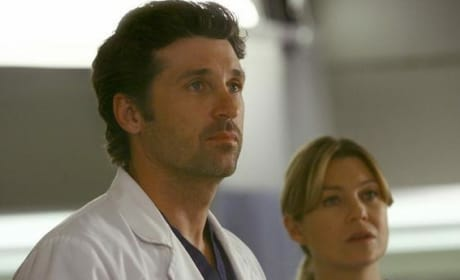 Meredith and Derek look great in this photo from the Season 5 premiere of Grey's Anatomy, "Dream a Little Dream of Me," and we think it's been too frickin' long already - JUST GET MARRIED! C'mon, gang! 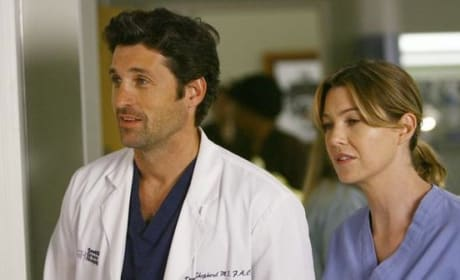 Meredith and Derek, as seen in the Season 5 premiere of Grey's Anatomy, "Dream a Little Dream of Me," may be the best TV couple ever. Agreed? That's probably not what she said, but it would make a fairly funny quote if it were. Meredith and Derek are awesome together. We're just saying. 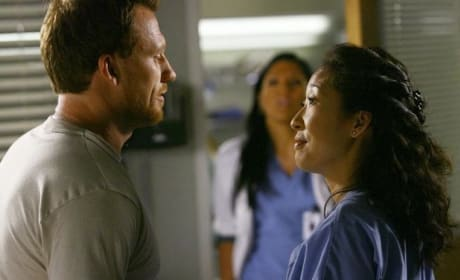 Meredith and Derek are awesome in this photo from the Season 5 premiere of Grey's Anatomy, "Dream a Little Dream of Me." We're just hoping this isn't it. Is it just us or is Cristina flashing a smile in this photo? It would be some time since she had, so we are all for it. We are digging Callie this season. We just gotta put that out there. Girl looks damn good. Cristina and Callie talk to a patient in this photo from the Season 5 premiere of Grey's Anatomy, "Dream a Little Dream of Me." We'll see what develops between these two this year. 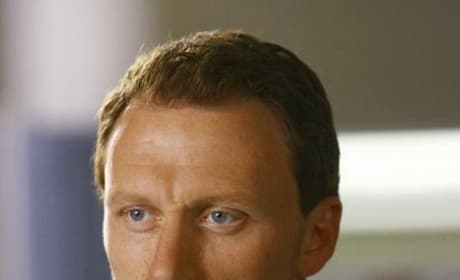 Kevin McKidd guest stars as Dr. Owen Hunt in this photo from the Season 5 premiere of Grey's Anatomy, "Dream a Little Dream of Me." Derek Shepherd flashes that familiar smile and makes us melt in this photo from the Season 5 premiere of Grey's Anatomy, "Dream a Little Dream of Me." 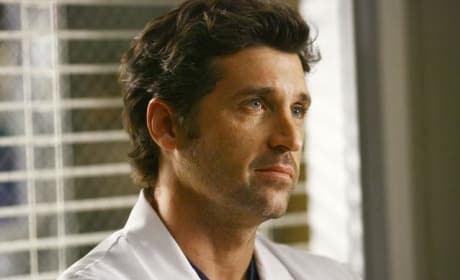 Derek Shepherd looks contemplative in this photo from the Season 5 premiere of Grey's Anatomy, "Dream a Little Dream of Me."